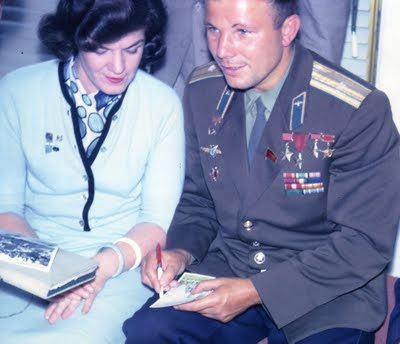 The Vancouver activist and journalist Olive Skene Johnson meets cosmonaut Yuri Gagarin while attending a peace conference in the Soviet Union in 1962. She soon after condemned the Soviets for testing nuclear weapons in the atmosphere. On a table in a grieving household is a manila folder thick with newspaper clippings and pages torn from magazines. The stories are from McCall’s and Maclean’s, Star Weekly and Monday Morning, Vancouver Life and Canadian Living. Every article carries the same name — Olive Skene Johnson. Among the cuttings is a card on which she has written topics for commentaries delivered by her on CBC Radio’s Trans-Canada Matinee in 1966. These included Vasectomy, Abortion, Hiroshima and, on a lighter note, The Roots of Christmas. Ms. Johnson, who died last week, aged 82, was a Vancouver writer fearless in tackling controversial subjects. She was the West Coast’s answer to June Callwood as an activist who felt a woman’s place was on a magazine’s front cover — not as a model, but as a journalist. She was a peacenik and a Ban the Bomber; an advocate of choice in women’s reproductive health and a critic of the mistreatment of aboriginal peoples; a supporter of public broadcasting and an opponent of corporate media conglomerates. When she filled in as a hotline radio host, angry callers denounced her as Ollie the Commie. She was a reformer, not a Communist. In 1962, she traveled to a peace conference in the Soviet Union where she met cosmonaut Yuri Gagarin. She continued on to Tokyo, where she attended a world congress against nuclear weapons on the 17th anniversary of the bombing of Hiroshima. During the congress, the Soviets exploded a 40-megaton nuclear weapon in the atmosphere. Communists in attendance refused to condemn the test, but Ms. Johnson had no such qualms. The explosion did “great disservice to the cause of peace and failed the thousands of people in Japan and the rest of the world who are genuinely working for an end to nuclear tests and the arms race itself,” she said. The headline in her hometown daily read: CITY WOMAN RAPS REDS. The reporter made a pilgrimage to Hiroshima, the setting for several articles to be published in the years to come. She was haunted by the terrible fate of people like Setsue Kato, 32, who buried a young husband who died from leukemia, what she called a “delayed-action A-bomb victim.” The husband’s fate and the widow’s plight confirmed for her the rightness of opposing nuclear weapons. At a time when abortion remained outlawed, she wrote about a botched attempt in a seedy Kingsway motel. She told readers of the Star Weekly about married women borrowing money to fly to Japan to undergo the procedure in safer circumstances. Her article was headlined: Stop the butchery, legalize abortion. The daughter of hard-working but poor Scottish immigrants — her father collected scrap metal — she was the youngest of six children and the only one to attend university. She skipped two grades before earning an arts degree in 1950 shortly after turning 21. Thirty years later, she completed her formal education with a doctorate in psychology, her success no doubt fueled in part by an admissions official’s stated reluctance to admit a mother of five. She thought many societal ills could be cured through education. 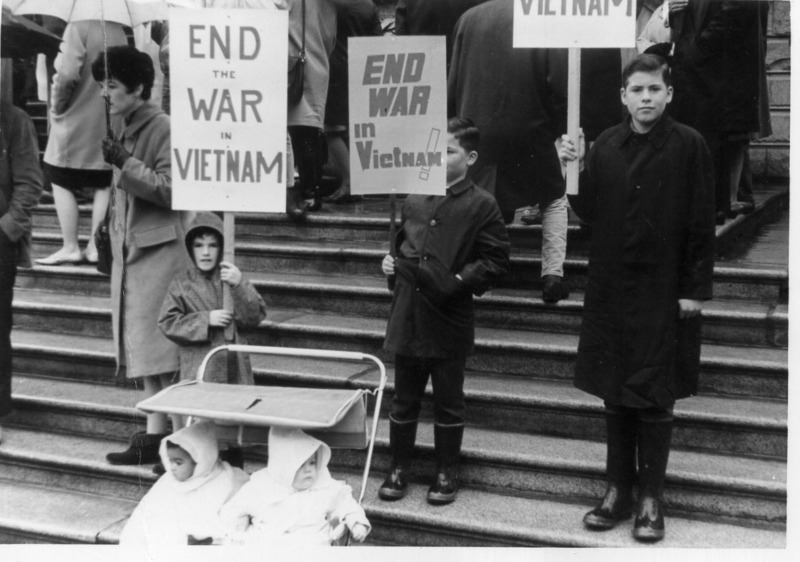 The personal was political with Ms. Johnson, so her husband and children accompanied her to anti-Vietnam War protests. The family housed draft dodgers in the basement of their Kerrisdale home, already something of a neighbourhood landmark with its Christmas lights spelling out “Peace.” She was deeply distressed when one of those young Americans heeded the plea of his parents, returning home only to be killed in action in Vietnam. Ms. Johnson, who had been a music and English teacher, ran for Vancouver school board on a slate formed by The Electors Action Movement, a reform-minded, centrist municipal political party. Her children campaigned on downtown street corners by holding trays of olives skewered with toothpicks. Her winning slogan: “Why is the school board like a martini? Because they both need an olive.” She twice won election. She later counseled troubled youth and ran a private practice as a psychologist. After her two oldest sons came out, she wrote The Sexual Spectrum (Raincoast, 2004), a well-received look at gender and sexuality. The work was all the more compelling for her admission of an unenlightened initial reaction to her sons’ declarations. 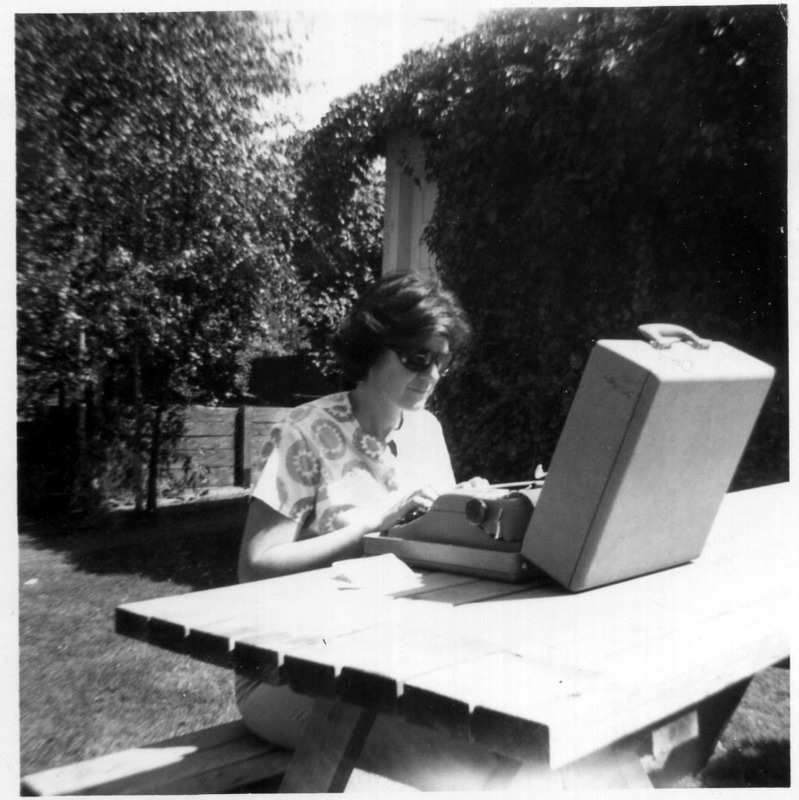 After producing her first book at age 74, she penned a blizzard of letters to the editor. These were tart, a successful formula for getting published in a wide-range of outlets. An example: “Almost all of those who denigrate our (Canadian) public health-care system are individuals who stand to profit from its demise,” she wrote the Chicago Tribune two years ago. One of her last acts was to sign a petition demanding protection of gays from persecution in Uganda. Farewell, Olive Skene Johnson, a do-gooder who done good. Olive Skene Johnson (far left) protests the Vietnam War on the steps of the Vancouver Court House. She is accompanied by her children (from left) Lise, Christopher, Marcus and, in the carriage, Mike and Erica. Marcus died in 1992. Erica Johnson is known today as the host of CBC's Marketplace.